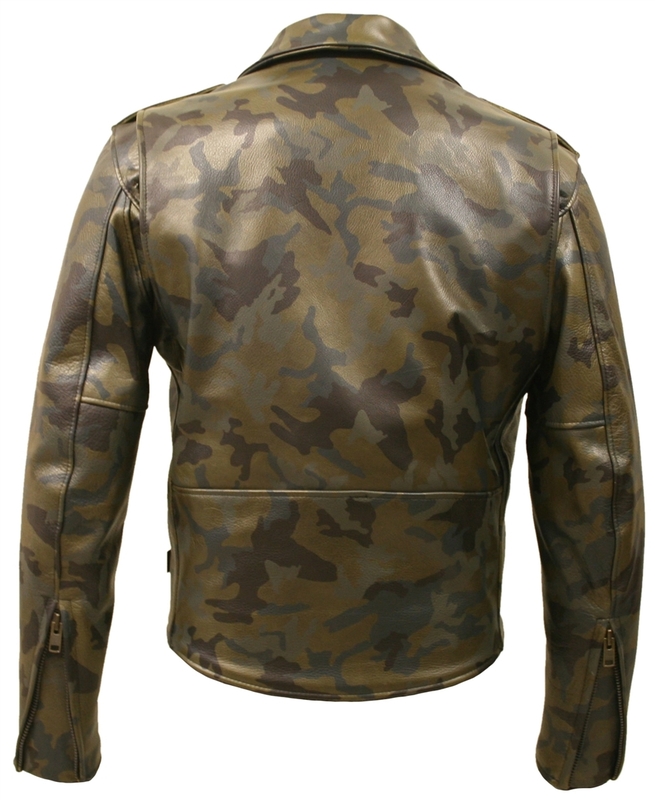 Hillside USA Camouflage All Leather Biker Jacket is a celebration of classic military attire. 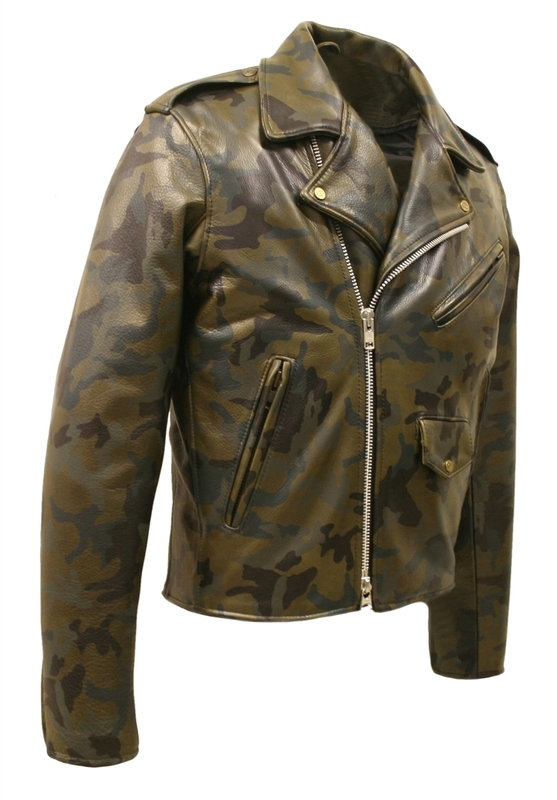 This crafted jacket is composed of a 1.2- 1.4 full grain cowhide camouflage Leather. 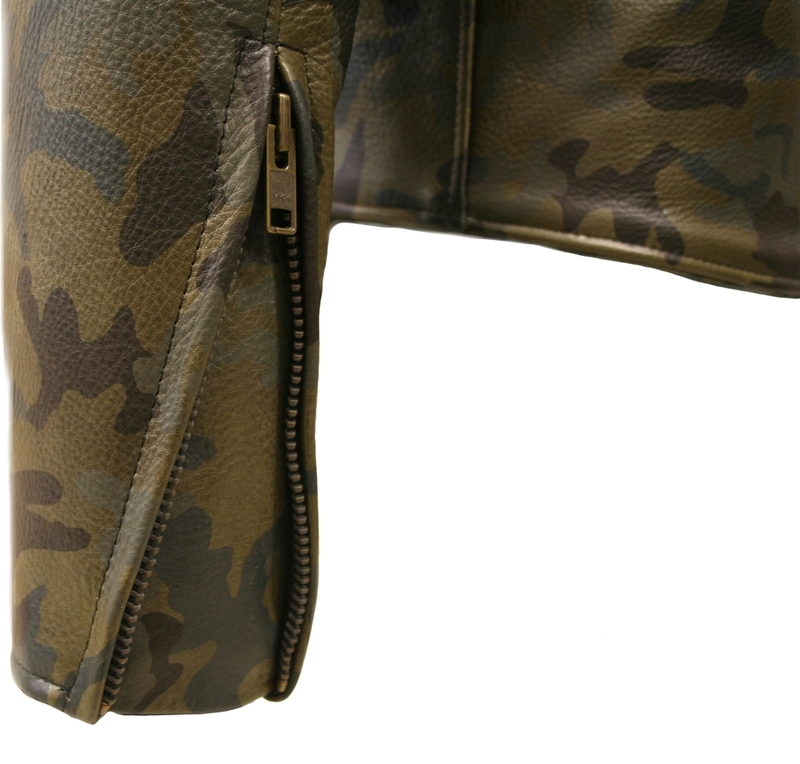 Putting camo on leather is no easy task, heat and pressure is used to literally bond the camouflage pattern to the premium leather. The result is a permanent, abrasion resistant bond that will last the life of the product. Features: action back, zippered cuffs, three Cordura lined outside zippered pockets with snap-down collar two internal pistol pockets (approx. 9" deep) which close with a snap on one side and a zipper on the other. Lifetime Guarantee. 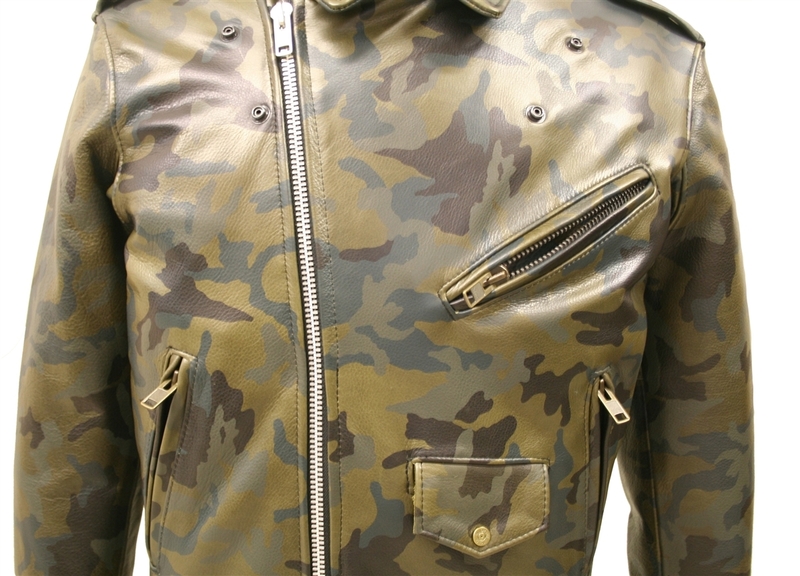 Crosses the line between a true bike jacket and high fashion. 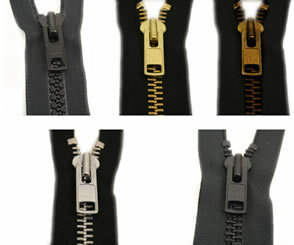 And because it's made upon order, rather than pulled from stock, you have a opportunity to customize. 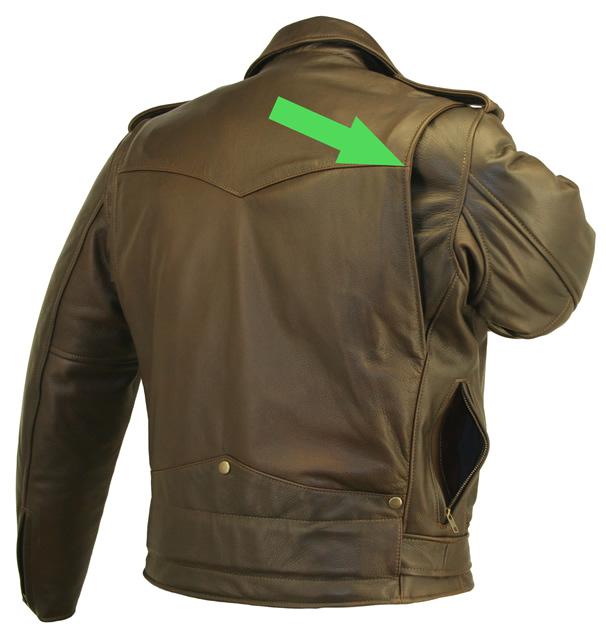 I requested mine epaulet delete, with hidden lapel snaps and Long body with Regular length sleeves. 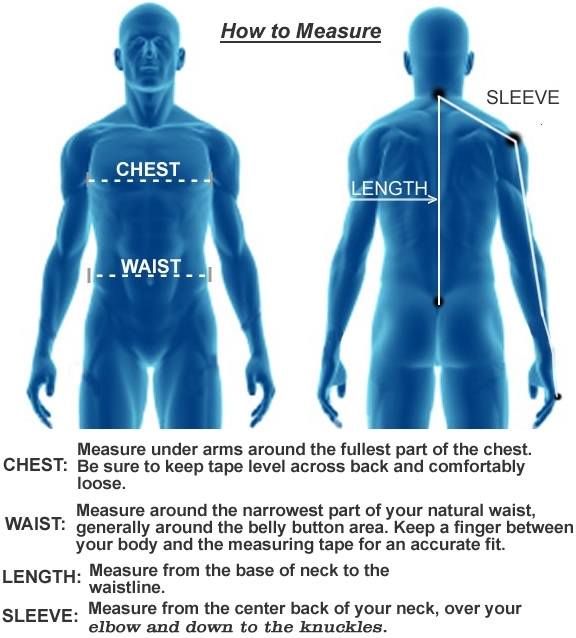 You can even submit your measurements. 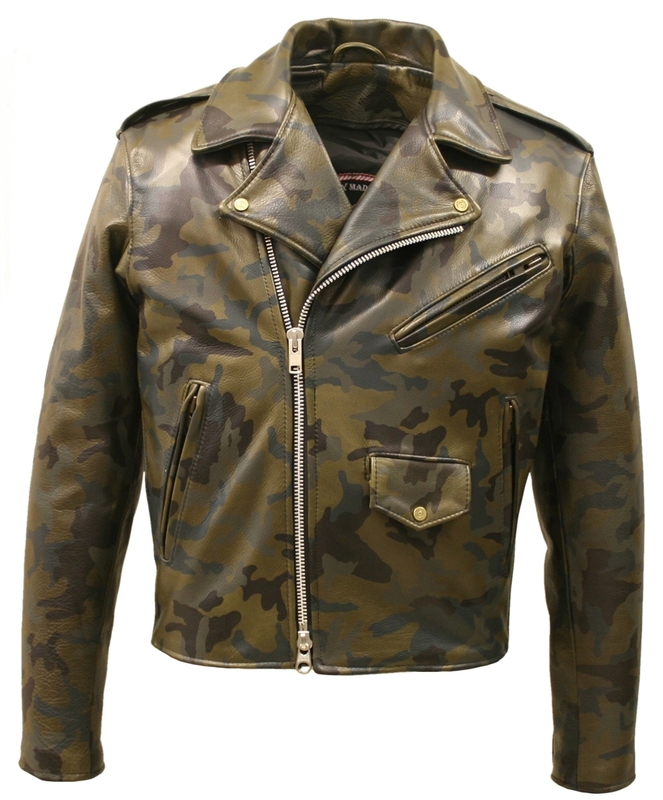 So what you get is a custom jacket for a off the rack price. Bravo,very well done. Nicer than a couple of my pricier jackets. 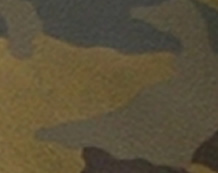 Top-Grain (Corrected Leather) is fuzzy on one side and smooth on the other. The smooth side is the side where the hair and natural grain used to be. 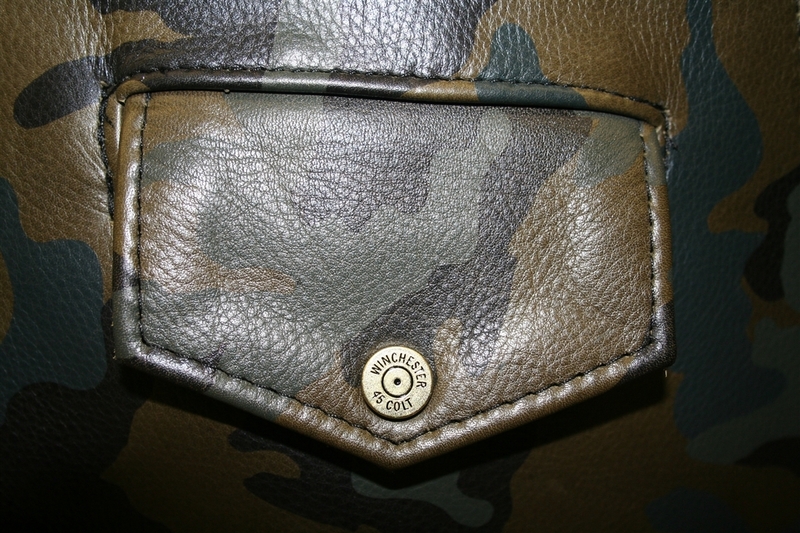 Top grain leather has often been sanded to remove scars and then sprayed or pasted to "cover up" the work. 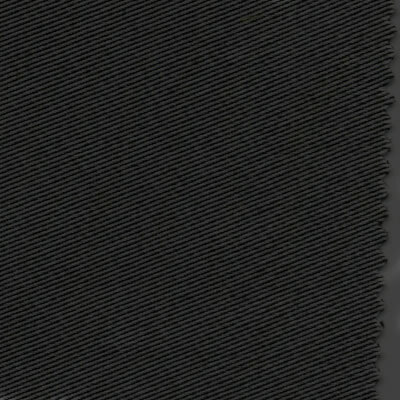 If you are searching for a high performance fabric, search no more. 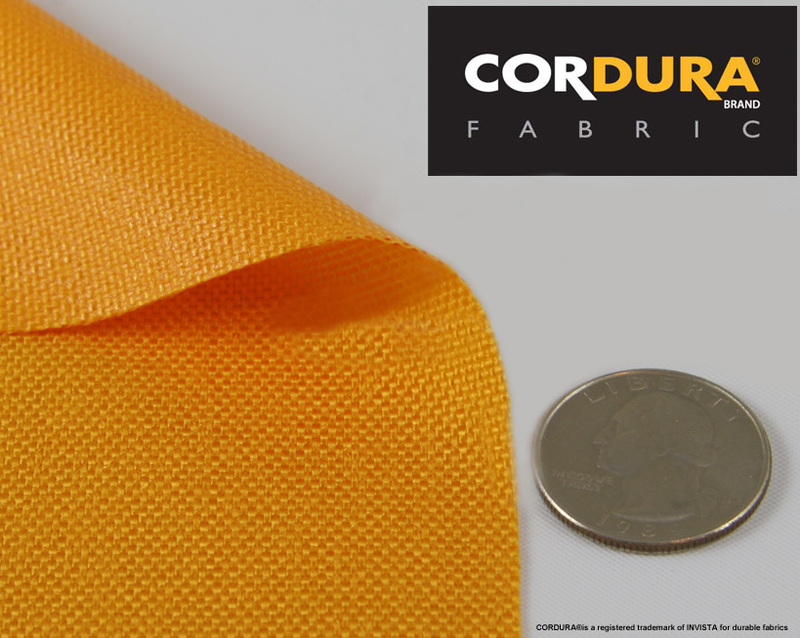 When compared with other fabrics where durability is a deciding factor, Cordura fabrics are ten times more durable than cotton duck fabric, two times more durable than standard nylon and three times more durable than standard polyester fabric. 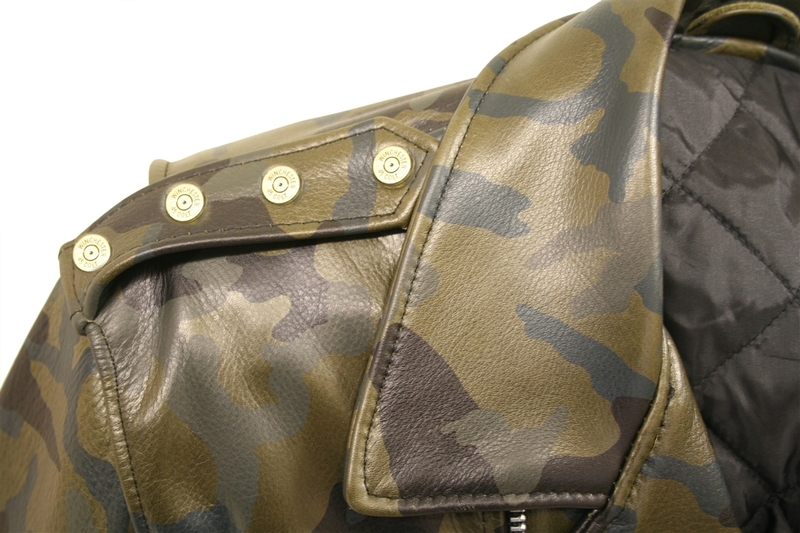 Most all apparel products made with Cordura fabric can be machine washed and dried on a low setting, while luggage, backpacks and upholstery can be spot cleaned with an approved spray cleaner.